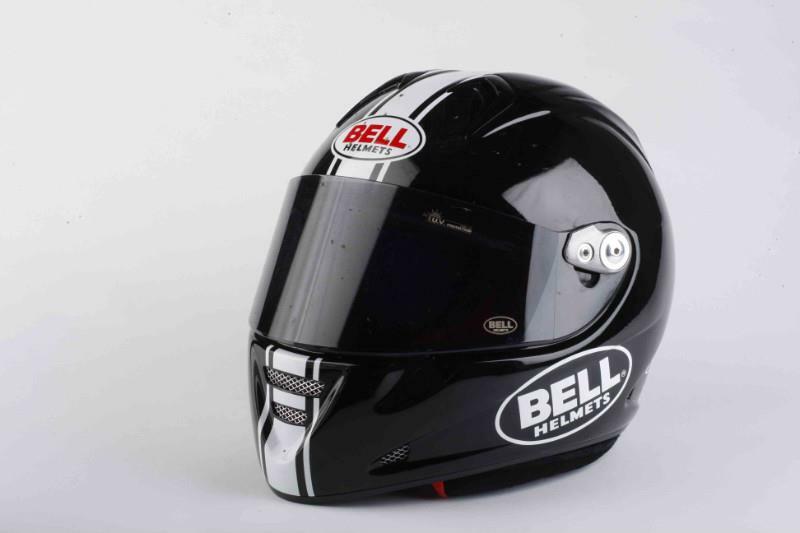 What’s good: If you’re over 40 years old the sight of a Bell Helmets logo will almost certainly spark a little interest. In the ’70s and ’80s if you wanted the best lid money could buy you bought a Bell Star. The 2011 M5X has a few of the features that made those earlier lids so appealing, such as a 3mm thick visor and luscious paint. The vents work just as well as they did in the ’70s (ie, not very well) but logos don’t get much more iconic than the Bell oval. What’s bad: Alas, Bell is no longer the company it once was and the helmets are no longer made in the USA – the Bell M5X is made in Italy. Not necessarily a bad thing but the fit is familiar with many lids from Italy; tight across the temples and forehead with a generous squash of the cheeks. The M5X took a couple of weeks to break in and it still isn’t that comfortable. Even though the thick visor is impressively sturdy, to change it requires several minutes and a 4mm Allen key, a bummer if you change regularly between tinted and clear visors. The washable red lining is eye catching but shows up the dirt quickly. Thick visor apart, the logo might just as well say AGV. Got your free MV Agusta?